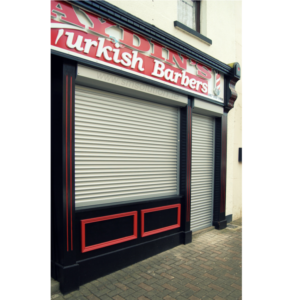 We offer a wide range of insulated roller shutters for commercial buildings and private homes. They are made of quality materials, which is why they are so resistant to weather conditions and time. The care put in their production makes them a reliable way of safeguarding a chosen apartment or a shop. Thanks to their installation one does not have to worry about burglaries or vandalism. 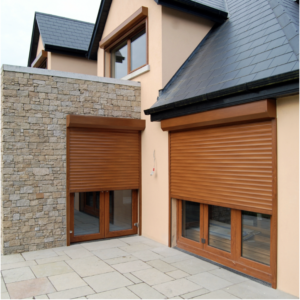 Insulated roller shutters are extremely efficient in reducing the outside noise and keeping the inside private and shaded. They also help in decreasing the costs connected with heating the building, because they prevent the energy loss through windows and doors. Our insulated roller shutters are available in a variety of colours, making it easier for our customers to match them with the exterior of the building. Another thing our clients can choose is the thickness of the panels – depending on what kind of protection they need and what kind of insulation they expect. Our products are available at truly attractive prices, so our customers can appreciate the care we put into making them.